← OSHO: Living on Your Own Terms: What Is Real Rebellion? 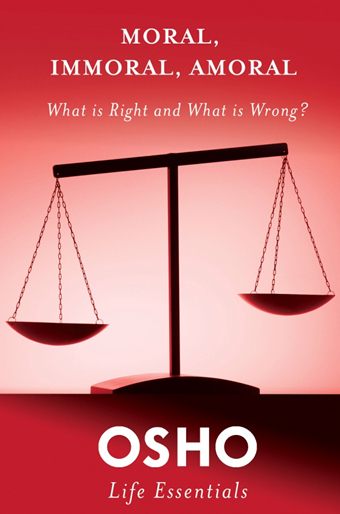 OSHO: Moral, Immoral, Amoral: What Is Right and What Is Wrong? Moral, Immoral, Amoral: What Is Right and What Is Wrong? The Osho Life Essentials series focuses on the most important questions in the life of the individual. Each volume contains timeless and always-contemporary investigations and discussions into questions vital to our personal search for meaning and purpose, focusing on questions specific to our inner life and quality of existence.